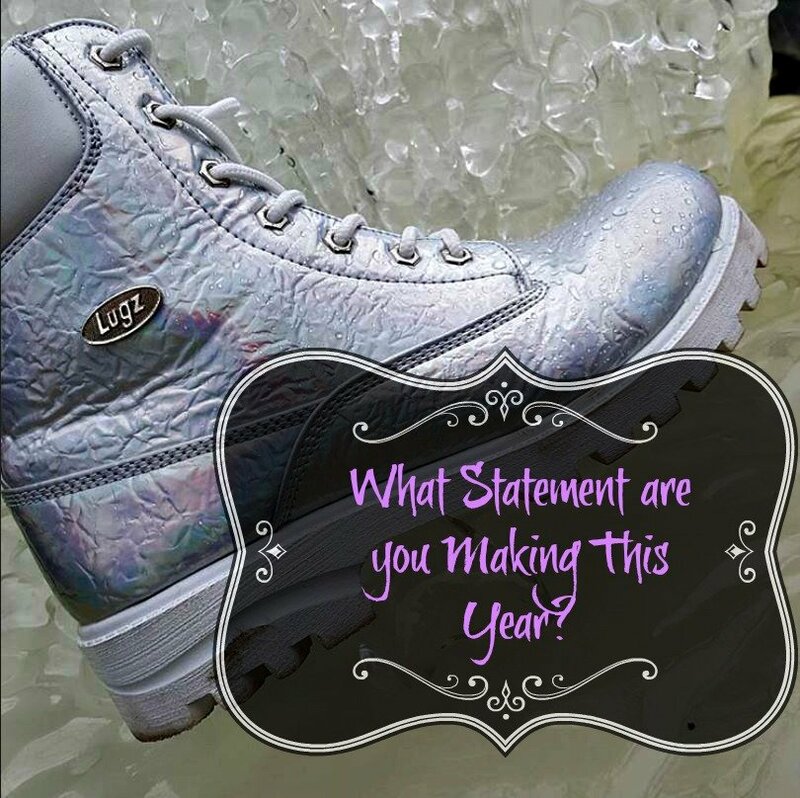 What Statement are you Making This Year? Fashion is a big part of life and always has been, tribal attire from times gone is always so beautiful to me! What fashion statement are you making this year? Personally, planning on reflecting what I’d like to become on the inside! These boots scream happy and fun loving, don’t you think? Perfect for winter, these boots definitely get some attention! Loving the shine and comfort they provide! Perfect fashion statement to make while keeping your feet warm and comfortable! As with the Lugz Mallard’s, the memory foam keeps your feet comfortable from the first time you put them on and beyond! They too are water proof and can easily be wiped off to keep them looking new! The only thing I wasn’t a fan of was that they don’t have the strip on the back to pull the boots up, so I had to loosen the shoe strings quite a bit to get them on. Never really thought that was something I should check for when buying boots, but in the future it won’t be forgotten! In the meantime, I’m still wearing my Lugz Empire Hi CR’s and enjoying the glitzy look they give me! They go great with a white tops and dark pants! I also really enjoy the sparkle they put off when the light hits them in the dark! They’ll be taking me to some concerts in the future! Until then, my fashion statement for this year is that I’m here, I’m gorgeous, and I’m comfortable in my skin (and my boots too!). Take that 2018!